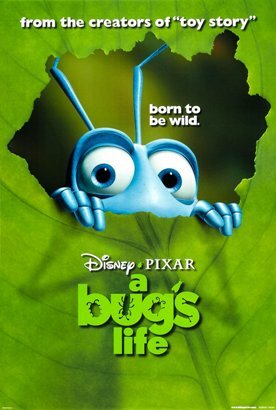 A Bug's Life, directed by John Lasseter “with co-direction by Andrew Stanton” and the usual array of celebrity voices including Kevin Spacey as the bad guy and Phyllis Diller as the ant-queen, is that by-now familiar Hollywood phenomenon, a movie about movies. The fact prompts the reflection that the American entertainment industry is so big and uncompetitive that it is beginning to resemble one of the behemoth state-run industries found in socialist countries. So eager is the world for the Hollywood product, apparently, that every movie makes money, which removes or at least minimizes the fear of failure in the same way that permanent government subsidy does. As a result, the industry is run more for the benefit of the producers than the consumers. We might not care so much about the pampered executives and the bloated production budgets, but we ought to register a protest about content so self-indulgent as that of A Bug's Life. Just to give you some idea of how self-indulgent that is, consider that the movie offers us mock out-takes over the closing credits. We are now into the second generation of this little in- joke. The computer-generated animation which is of course purpose-built at every frame produces no naturally-occurring out-takes, but they made some up—a mockery of a mockery—just so that we could all appreciate how much fun all the film-makers had. Isn't that special? Likewise there is credit listed for the “Production Babies,” listed by their first names, as a way of producing that same warm and human touch. 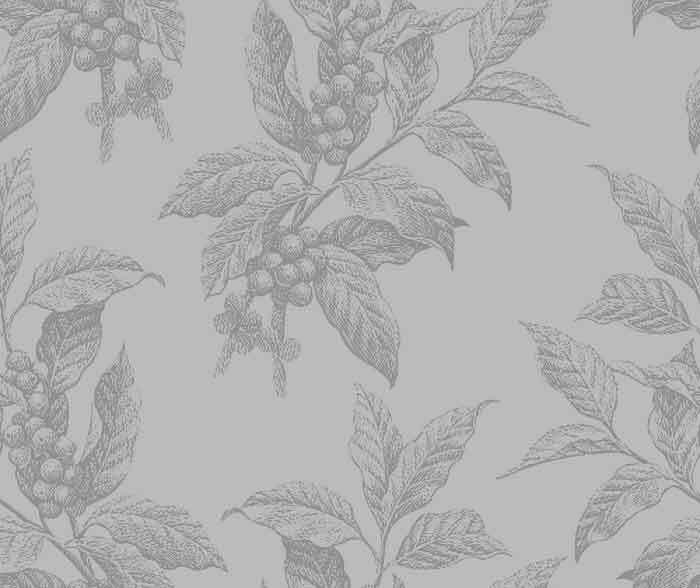 But could it be that the picture is asking for our appreciation on the basis of the human qualities of its makers as much as of its bugs because it realizes that there is not much else—apart, of course, from technical expertise—to appreciate in it? The ostensible purpose of the film is to make gentle fun of the pieties of the classics, The Seven Samurai and The Magnificent Seven by translating the oppressed peasants into a colony of ants and the predatory bandits into grasshoppers. This provides plenty of opportunity for the makers to show off their ingenuity and that of the bug/people conceit. Thus we are offered a bar scene with insect orders for Black Flag cocktails and a waiter crying, “Who ordered the poo-poo platter?” A mosquito orders a bloody Mary—“O positive”—drinks up the drop of blood he is brought and then collapses drunk. Outside a helpless bug slouches against a wall with a begging bowl and a sign: “Kid pulled my wings off.” A little of such comedy goes a long way and, together with the in-jokes (Disney's own Lion King is alluded to when one bug says to another, “it's a bug-eat-bug world out there—it's a sort of circle-of-life thing”), it makes at feature length for an experience as tedious as watching an hour and a half of punning. It should be needless to say that the movie can do nothing bigger than this. It only touches life through the movies, and so nothing like the underlying seriousness of The Magnificent Seven comes through. The movie is impossible to take seriously at any point, though it is ostensibly about the rescue of a colony of ants from servitude toward imperial grasshoppers. There is no real fighting. No real danger. Nothing serious is at stake. Though ostensibly the ants have been asked for too much grain and will starve, we never feel the slightest anxiety on their behalf. The nearest approach to seriousness comes in the utterly banal and predictable message (the same as in the closely similar Antz) that individualism and originality are good and traditionalism and conformity are bad. No kidding! Hollywood has a formidable array of technical tricks at its disposal, but the cupboard marked “messages” must be bare.